Why are the Migrants Fleeing Honduras? 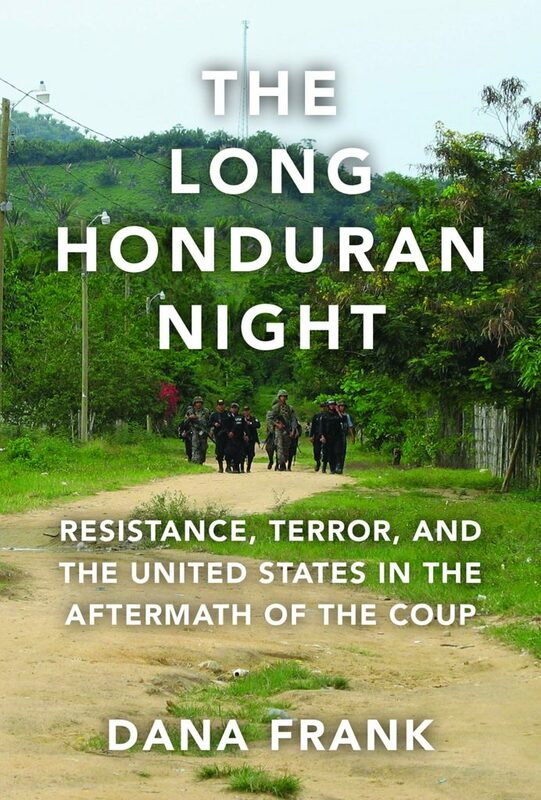 In this presentation Dana Frank will discuss her new book, The Long Honduran Night: Resistance, Terror, and the United States in the Aftermath of the Coup, which examines Honduras since the 2009 coup that deposed democratically-elected President Manuel Zelaya. In the book, she interweaves her personal experiences in post-coup Honduras and in the US Congress with a larger analysis of the coup regime and its ongoing repression, Honduran opposition movements, US policy in support of the regime, and Congressional challenges to that policy. 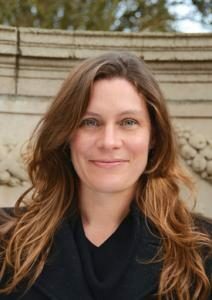 Her book helps us understand the root causes of the immigrant caravans of Hondurans leaving for the US, and the destructive impact of US policy. Dana Frank is Professor of History Emerita at the University of California, Santa Cruz. Herbooks include Bananeras: Women Transforming the Banana Unions of Latin America, which focuses on Honduras, and Buy American: The Untold Story of Economic Nationalism. Her writings on human rights and U.S. policy in post-coup Honduras have appeared in the New York Times, Los Angeles Times, Miami Herald, Houston Chronicle, The Nation, Foreign Affairs, Foreign Policy, Politico Magazine, and many other publications, and she has been interviewed by the Washington Post, New Yorker, New York Times, National Public Radio, Univsion, Latino USA, regularly on Democracy Now!, and on other outlets. 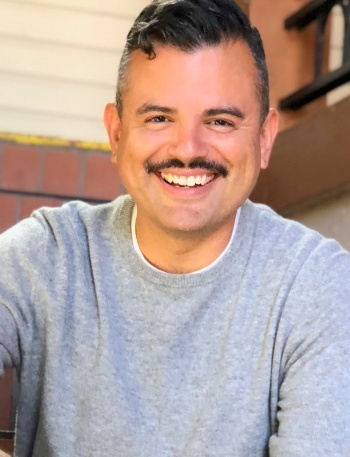 Professor Frank has testified about Honduras before the US House of Representatives, the California Assembly, and the Canadian Parliament. Huerto de la Familia has launched a brand-new farm booth incubator at Eugene’s Saturday Farmer’s Market. 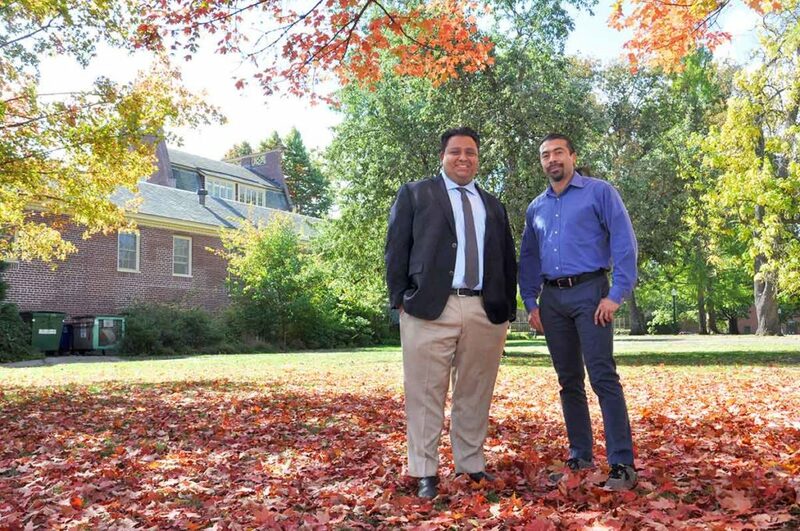 The first business to participate is 10 Stars Farm, a Latinx-family farm owned by Florentino and Estela. They will be at Saturday Market every week through the end of the season except for Saturday, August 25th. 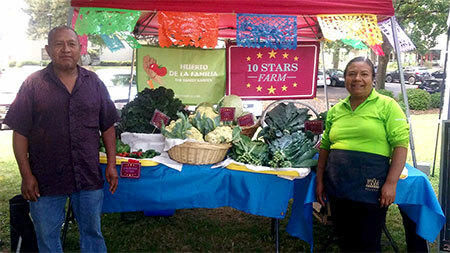 You can also find 10 Stars Farm at the Tuesday and Thursday markets. Estela and Florentino are graduates of Huerto de la Familia’s 2017 Cambios Business Class, where they attended 12 weeks of three-hour classes in order to successfully complete their business plan. Marissa Zarate, executive director of Huerto, notes that Estela and Florentino are proud of their organically grown (but not certified) produce and can’t wait to share it with your family. She says the name “10 Stars Farm,” was thought up by their son and represents them and their eight children. CLLAS has a history of relationship to the nonprofit organization Huerto de la Familia. This report provides an overview on the myriad issues facing unaccompanied children from Central America apprehended at the Southwest border of the United States. The document highlights these children’s ability to overcome challenging histories and adapt to the changes in familial and social environment that life in the United States presents, and identifies some of the key supportive resources that can help them to do so. 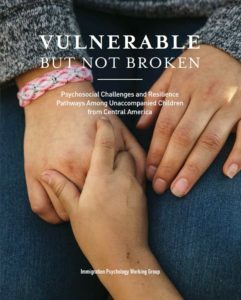 The psychosocial aspects of this humanitarian crisis are reviewed, outlining priority areas for future research and providing recommendations for culturally and developmentally informed practice, programs, and legal advocacy.